Author/photographer of nine garden books and contibutor to many more. Several may be purchased though the links to the right. Articles/photographs have appeared in Southern Accents, Architectural Digest, The English Garden, Garden Design, San Diego Home/Garden Magazine and more. Contributor to The New York Times, Christian Science Monitor, Denver Post and San Diego Union/Tribune. 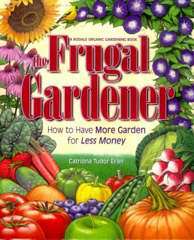 Guest expert on frugal gardening on the PBS television program "Right on the Mondy." and on CNN about landscaping swimming pools. Bare, stark swimming pools - those rectangular concrete holes in the ground surrounded by a chain-link fence - are going the way of the dinosaurs. Pool owners (and there are 7 million of them across North America) have begun to see the pool and the area around it as an outdoor living space, a place for entertaining a crowd or relaxing alone. 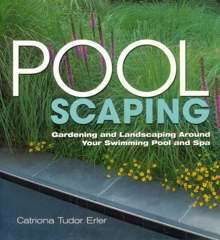 In response to this hot, new trend, gardener and landscape designer Catriona Tudor Erler has written POOLSCAPING, a one-of-a-kind handbook overflowing with inspiring ideas and practical advice on how to make your swimming pool the lovely, welcoming centerpiece of your property. Design Ideas for Home Landscaping offers inspiring ideas for achieving a stunning effect with your landscape. Using the information on plant design, expert gardening and planting advice, and the most resilient vegetation for your region, you can maintain a beautiful outdoor haven with this accessible guide for the professional landscape designer and the do-it-yourself homeowner alike. 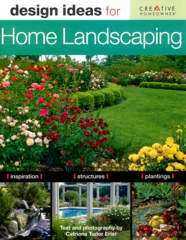 With over 350 magnificent color photographs and illustrations, Design Ideas for Home Landscaping is an essential tool for you to achieve a gorgeous, lush landscape. New Complete Home Landscaping is an updated, expanded edition of Creative Homeowner's award-winning comprehensive book on landscaping for the home. It covers every aspect of home landscaping, from design principles to construction projects; plant selection to plant care. The book consists of three parts. 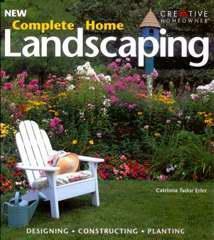 Part One: Preparing to Landscape explains how to design and create a landscape. Part Two: Setting the Stage shows how to build such features as paths, ponds, walls, decks, and watering systems. Part Three: Planting and Growing describes how to select, plant, and care for flowers, trees, shrubs, ground covers, and lawns. 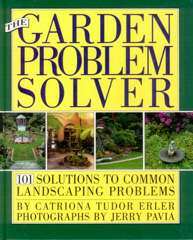 The Frugal Gardener should have a place on every serious gardener's shelf, no matter what his or her budget. Catriona Tudor Erler has assembled a fantastic collection of suggestions for economical gardening strategies, covering everything from pruning-shear purchases to making the most of your plants. In this case, "economical" also translates to "environmentally sound," as Erler's recipes for do-it-yourself pest control rely on items like dish soap, garlic, and hot peppers. For those who like to look at beautiful gardens or those who like to get into the dirt, Derek Fell and Catriona Erler have put together an excellent visual resource on home landscaping. 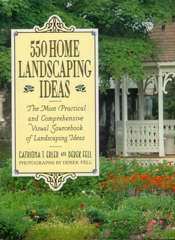 With short, but complete descriptions of over 500 landscaping ideas, you are sure to find inspiration to landscape your garden with this book fully illustrated in color. Fell and Erler illustrate all aspects of the garden, from the English garden to the far east, no stone is left unturned. Photo to be added soon! E-mail a review to us!